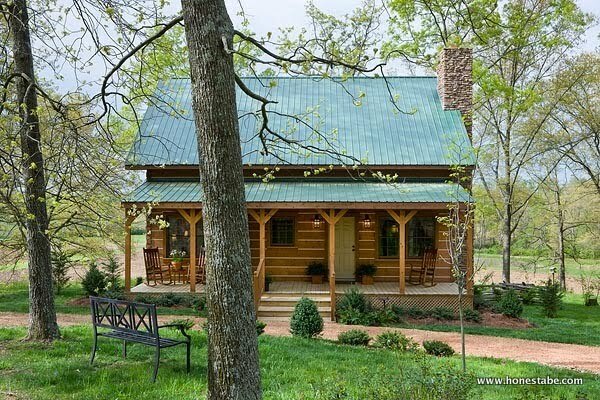 This fairytale-like Log Home by Honest Abe Log Homes boasts of its structural consideration reflecting a historical origin. 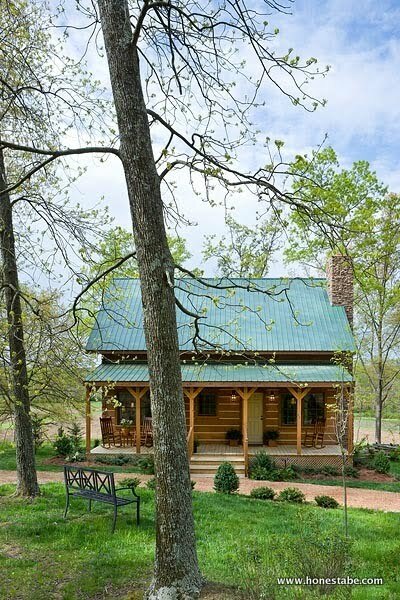 The style of the house looks like the early houses of the original dwellers from the Smoky Mountains. The architectural design on the outside of this log home is very dreamy and ideal, welcoming its dwellers to a fairytale-like atmosphere. The interior design looks even more grandiose as every room is crafted intricately and masterfully to achieve its luxurious style. It has two floors composed of different rooms all allocated with balance and elegance. The design of the house has historical roots. The fairytale ambiance is the original design made by the first president of the company, Rick Denton. 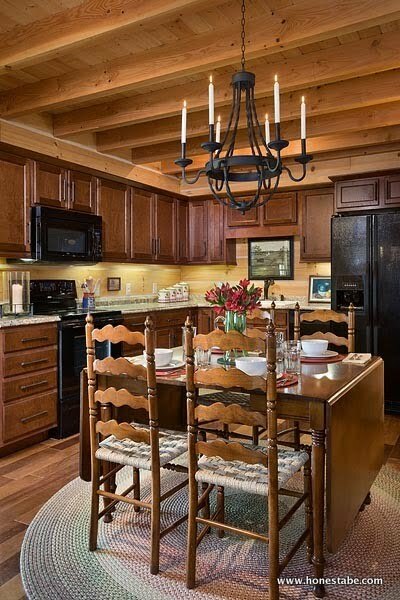 It is inspired from the Oliver home in Cades Cove and the Davis house in Cherokee, NC built during the mid-1800s. 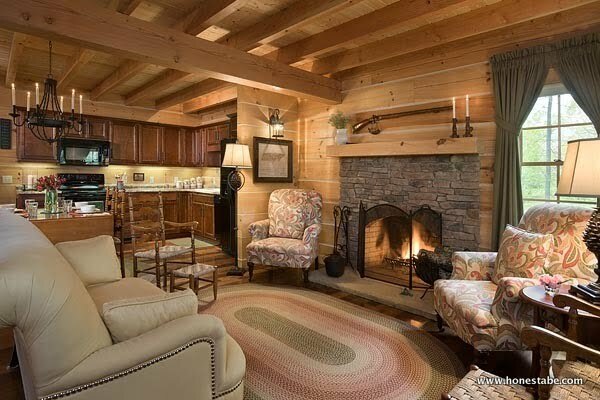 Looking at the designs of this modern-day log cabin, one is transported back to the early days when the pioneers of the Smoky Mountains were making their homes in the Cades Cove. It is like you are walking at the Great Smoky Mountain National Park, where the architectural finish reflects the European immigrants’ skills and techniques. Up until now, the company adapted the time-tested styles and designs that have both historical and architectural value. The inspired dreamlike structure of the Oliver cabin is actually a honeymoon house built in 1850. 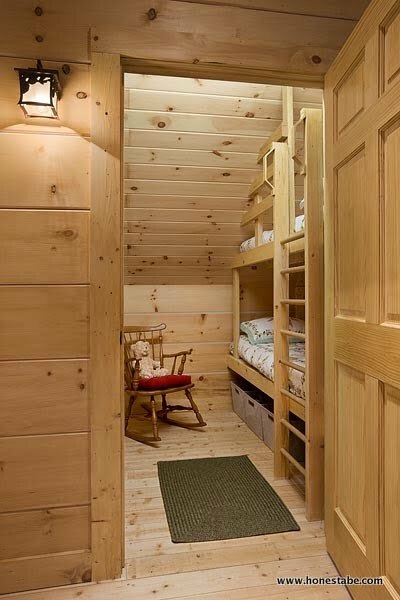 Just like the cabin, the fairytale-like log homes have two stories of living space built with natural logs. The cabins had additional glass windows for added luxury effect. 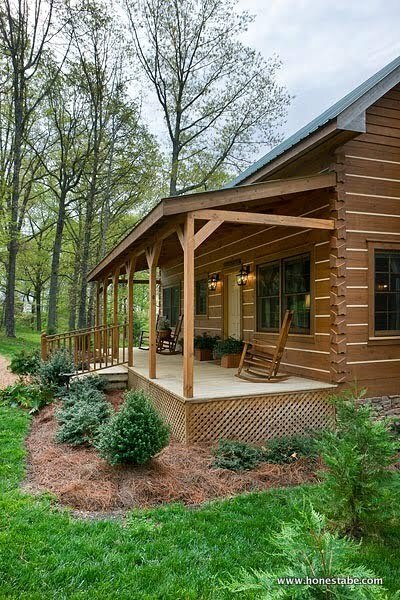 Same with the old pioneer structures, the log cabins strive to gain a full-length front porch despite its scarcity on the market. There is also a lot of porch spaces as most of the customers wanted to have it this way. 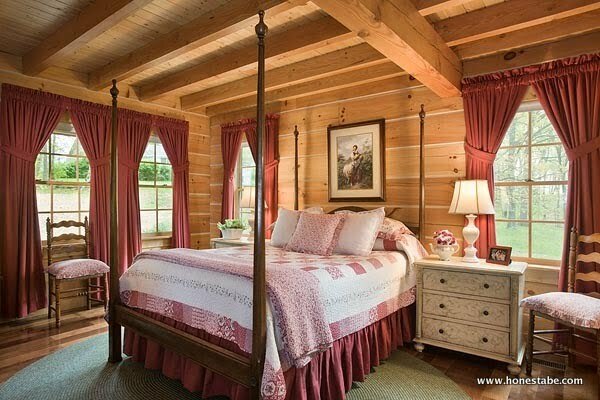 With this log cabin designs, anyone can feel at home, enjoying the luxury and comfort from all the parts of the house. 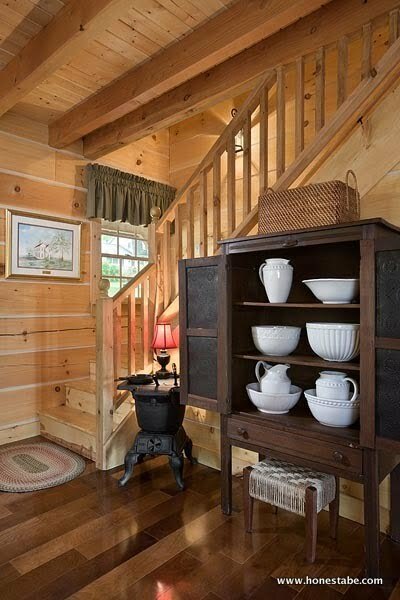 The exterior design of the log cabins is like transporting back to early times. The welcoming ambiance is irresistible to any visitors and dwellers. The front porch is very inviting. 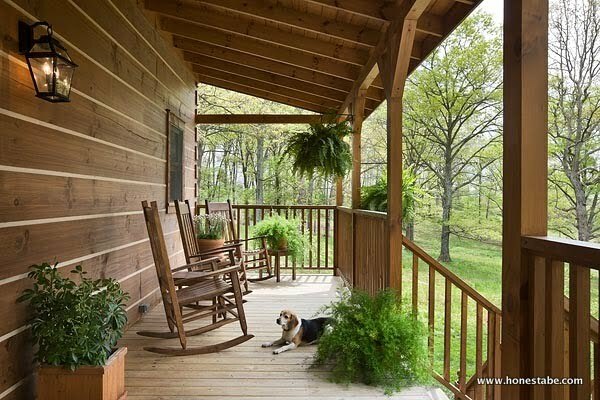 Staying on the porch provides comfort and relaxation that is truly priceless. 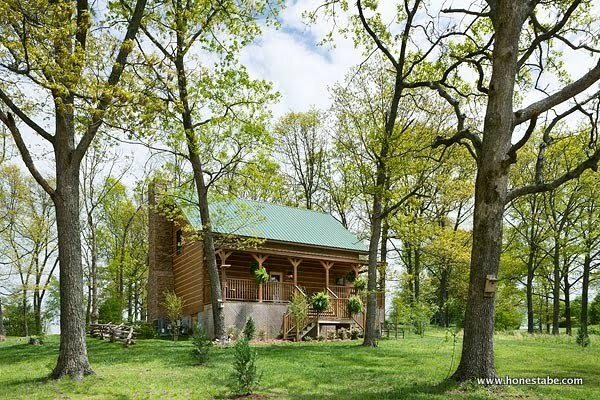 The look of the cabin from afar provides a scenic view. 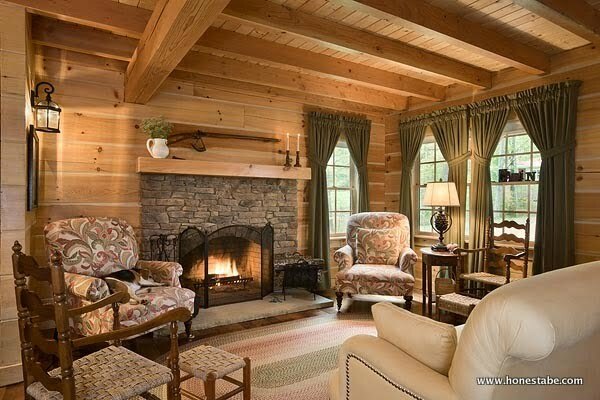 The elegant living room provides warmth and comfort to the family and visitors. The intricate design from ceiling to floor boasts of elegance. The dining area with a modern touch is very cozy. The hardwood structure going upstairs is built to last. The bedroom has an airy atmosphere built with huge glass windows. 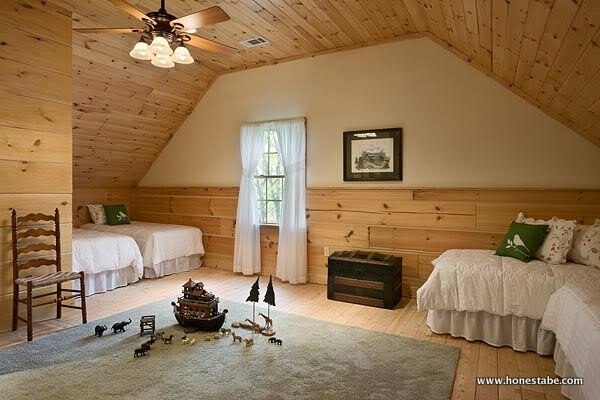 Attic bedrooms are also great and well lit. 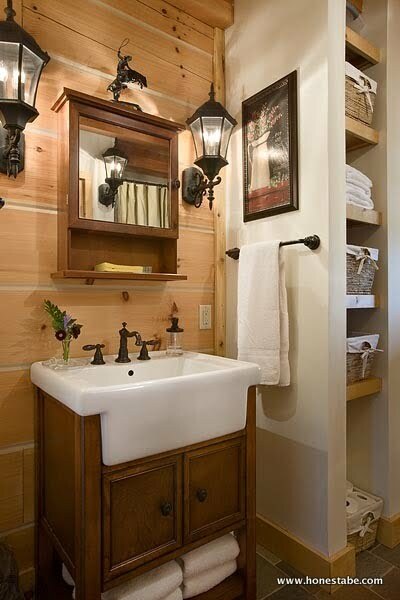 Closet in the bathroom is complete with sink and cabinets. Bedrooms built with hardwood create the simplistic yet elegant finish. 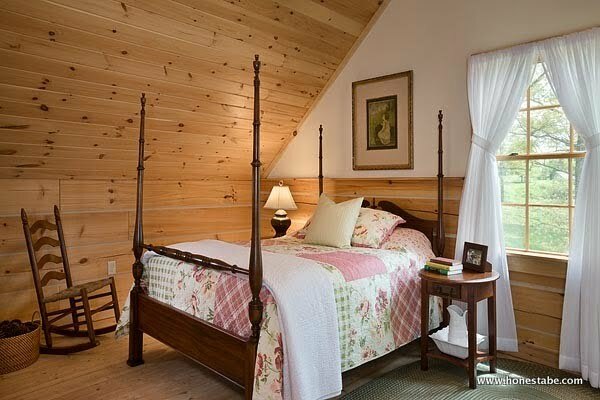 Spacious bedrooms on the second floor are ideal for families with kids. 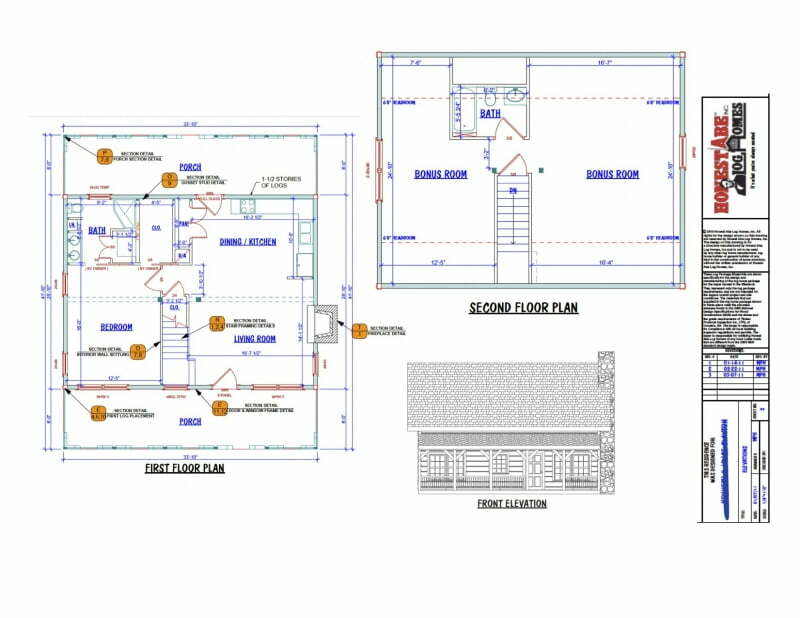 Floor lay-out that can be custom made based on preference.